The Liberal Democrats have taken control of Hull City Council - grabbing seats from Labour in Deputy Prime Minister John Prescott's back yard. They gained six seats for a total of 30, Labour lost five to stand at 20 and the Conservatives still have two seats. Liberal Democrat leader Sir Menzies Campbell hailed a "tremendous" result. Liberal Democrat MP Sarah Teather said of the Hull result: "This is a fantastic success. I am sure HQ will be delighted." After 312 of 312 councils. 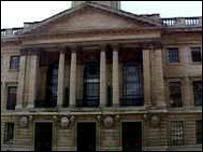 Last year's elections left Hull City Council without a party in overall control. Historically seen as a Labour stronghold, the Liberal Democrats became the largest party on Hull City Council last year. Liberal Democrat officials have said they believe this year's results could indicate what could happen in the next general election, and whether government ministers Alan Johnson and John Prescott could have their Hull seats threatened. However, the Lib Dems have not had it all their way since last year's election. Their controversial plans to save £3m a year by axing free meals for primary school pupils in Hull were blocked in March. The full council instead backed a series of Labour amendments which also included keeping two homes for the elderly open. The Lib Dems said the free meals scheme was too expensive and they wanted to focus on education and cutting crime. Elections 2007: Did you vote?